This collection is not so much about creating, but it is about playing. I want people to be able to play with their individual style. I really want to show what is our spirit, our DNA, our creativity. That’s the only way to realize what Mr. Uemura wanted to do, which was to strive to link art with cosmetics, to link art with beauty. The line doesn’t exactly look like anything Mario-related, other than the designs on the packaging. 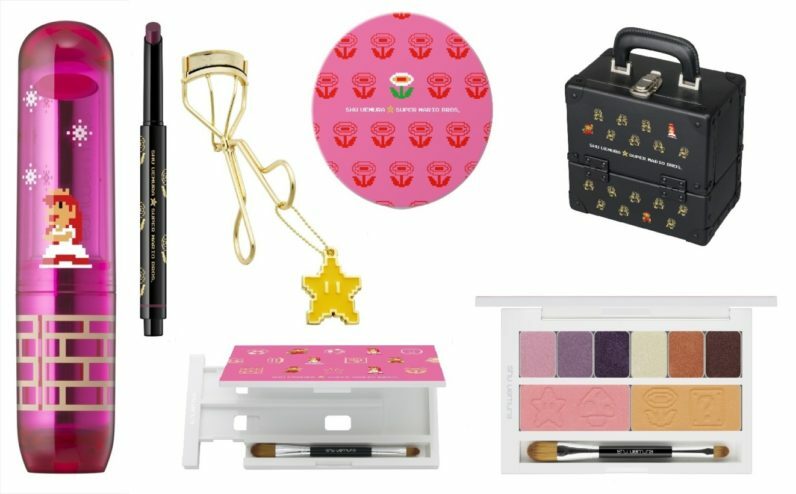 The eyeliner has a stamp on the end which looks star-shaped, and I suppose a few of the eyeshadow shades could recall the bright colors of Mario’s earliest outings — but it could just as easily be inspired by anything else under the sun. This had to have been approved by the higher-ups at Nintendo — I refuse to believe Mario could appear on so much as a postage stamp without Shigeru Miyamoto’s personal thumbs-up. Still, if you’re going to pattern a cosmetics line after a Mario character, why wouldn’t you go for Princess Peach … the character who actually wears lipstick and mascara? I will admit, though: I really want that Super Star-patterned train case.